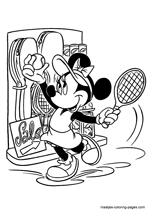 Minnie Mouse is an animated character created by The Walt Disney Company. 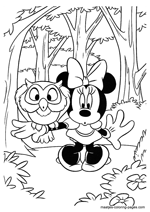 The comic strip story "The Gleam" (published January 19-May 2, 1942) by Merrill De Maris and Floyd Gottfredson first gave her full name as Minerva Mouse. Minerva has since been a recurring alias for her. 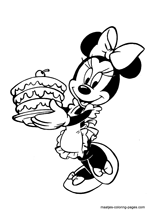 Minnie is currently voiced by actress, Russi Taylor. 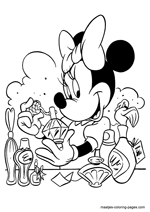 Minnie is a V.I.P character of the Mickey Mouse Club. 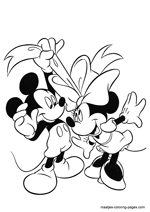 Minnie and Mickey were both created in 1928. The comic strip story "Mr. Slicker and the Egg Robbers" (published September 22�December 26, 1930) introduced her father Marcus Mouse and her mother Margie Mouse, both farmers. The same story featured photographs of her grandparents Marshall and Matilda Mouse. Her best known relatives, however, remain her uncle Mortimer Mouse and her twin nieces, Millie and Melody, though most often a single niece, Melody, appears. 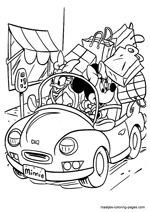 In many appearances, Minnie is presented as the girlfriend of Mickey Mouse, a close friend of Daisy Duck, Donald Duck's girlfriend and occasionally a friend to Clarabelle Cow. 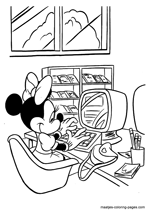 Minnie's sister Mandie Mouse was a recurring character early on. Minnie, (who at the time was not yet named and loved the color purple), was designed in the fashion of a "flapper" girl. She was so probably intended to follow the trends of then-modern youth culture in an effort to add to her audience appeal. 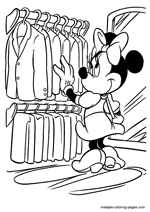 Minnie first appeared in Plane Crazy, first released on May 15, 1928. Minnie is invited to join Mickey in the first flight of his aircraft. She accepts the invitation but not his request for a kiss in mid-flight. 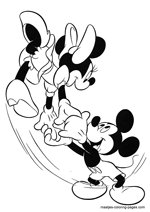 Mickey eventually forces Minnie into a kiss but this only results in her parachuting out of the plane. 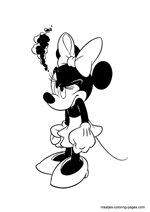 This first film depicted Minnie as somewhat resistant to the demanding affection of her potential boyfriend and capable of escaping his grasp. Their debut however featured the couple already familiar to each other. The next film featuring them was The Gallopin' Gaucho. The film was the second of their series to be produced, but the third to be released, and was released on December 30, 1928. 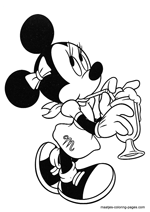 We find Minnie employed as the Cantina Argentina, a bar and restaurant established in the Pampas of Argentina. She performs the Tango for Mickey the gaucho and Black Pete the outlaw. Both flirt with her but the latter intends to abduct her while the former obliges in saving the Damsel in Distress from the villain. All three characters acted as strangers first being introduced to each other. 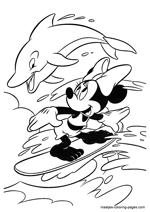 They appear together again in Steamboat Willie, the third short of the series to be produced but released second on November 18, 1928. Pete was featured as the Captain of the steamboat, Mickey as a crew of one and Minnie as their single passenger. The two anthropomorphic mice first star in a sound film and spend most of its duration playing music to the tune of "Turkey in the Straw".